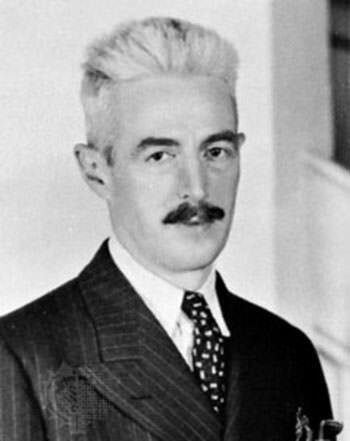 Dashiell Hammett achieved a trifecta very rare for a writer: critical acclaim, influence on other successful writers, and commercial success. The author of The Maltese Falcon, Red Harvest, and The Thin Man, Hammett has an enduring reputation as the godfather of the hard-boiled detective genre and one of the greatest mystery writers of all time. In fact, Red Harvest made Time's list of 100 best novels from 1923-2005. A cardinal trait of the Hammett style is the colorful dialogue. It's said that the popularity of both his novels and serialized short stories brought gangster slang into the mainstream of American life. This authenticity came from real experience. Hammett was a detective, employed by the famed Pinkerton agency from 1915-1921. While Pinkerton men were anti-union and essentially fascist, when not causing him deep moral dilemmas, the job was of course a goldmine for inspiration. One gig was guarding silent movie legend Fatty Arbuckle before he went on trial in San Francisco. The Thin Man was a sardonic novel about a married couple, Nick and Nora Charles, who banter with each other while solving crimes. It became a radio program, The Adventures of the Thin Man, in 1941, with Claudia Morgan voicing Nora. Nick was played by Les Damon, Les Tremayne, and finally David Gothard. The Adventures of Sam Spade was a critically-acclaimed and award-winning series produced by William Spier, of Suspense fame. Spade was played by Howard Duff and Steve Dunne. Each episode was called the X caper, as in "The Sinister Siren Caper," "The String of Death Caper," and so on. Be the first to comment on "Dashiell Hammett"